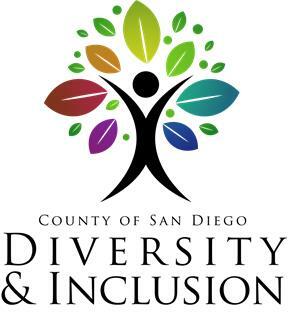 The San Diego County Employees Retirement Association (SDCERA) administers retirement and associated benefits for eligible County of San Diego employees and other participating employers. As both a County department and an independent association, we have approximately 40,000 active, deferred and retired members. The Finance Division is responsible for maintaining the general ledger, processing member benefit and tax payments, accounts payable, fixed assets, coordination of the external audit, investment accounting, preparation of the Comprehensive Annual Financial Report, cash transfers and reporting, and oversight of the operating and capital budgets. We are currently seeking a Retirement Accountant to perform professional level accounting work including working independently on financial statements, preparing schedules for the year-end audit, analyzing transactions and reports, preparing reconciliations, monitoring accounts, and other assigned duties. Our ideal candidate for this position should have a strong knowledge of Generally Accepted Accounting Principles, accrual accounting, investment accounting, preparing reconciliations, performing independent analysis, experience with automated accounting systems, and be proficient with Microsoft Excel. A quality candidate will be able to interpret and analyze financial reports, reconcile accounting and financial reports, perform arithmetic calculations, communicate effectively, demonstrate initiative, is a continuous learner, perform analysis, supportive of change and demonstrates ethical behavior. A Certified Public Accountant (CPA) certificate would be a plus. Click here to view the complete class description for this position. 2) One (1) year of experience as a Retirement Associate Accountant in the San Diego County Employees Retirement Association (SDCERA). A Certified Public Accountant (C.P.A.) certificate will be considered as meeting the education requirement and is highly desirable. To meet the Minimum Requirements, please attach a copy of your degrees, transcripts (submit .pdf or .jpg format), diplomas and/or foreign equivalency reports to your application. Required attachments submitted previously do not need to be resubmitted. Qualified applicants will be placed on a twelve (12) month employment list based on scores received during the evaluation of information contained on their employment and supplemental applications. Please ensure all information is complete and accurate as the responses you provide on the supplemental application questionnaire will be reviewed using an automated evaluation system. If you are successful in the initial screening process your application will be reviewed individually to confirm that the information you provided is accurate and qualifying. Reasonable accommodation may be made to enable an individual with a qualified disability to perform the essential functions of a job, on a case-by-case basis.